Remember in grade school when teachers had motivational posters that were so encouraging? They said things like "You can achieve anything!" 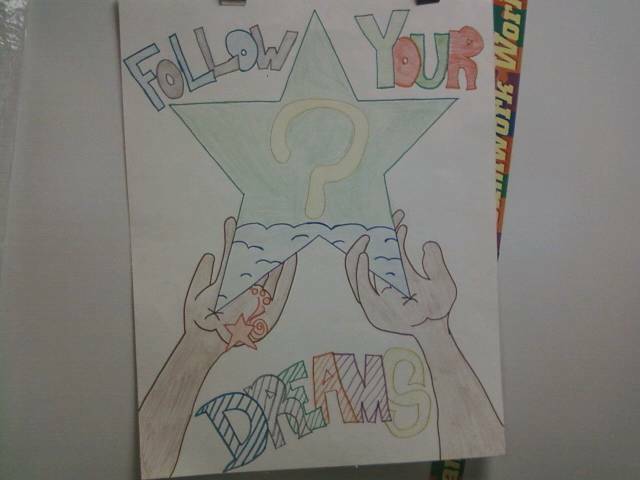 or "Reach for the stars!" 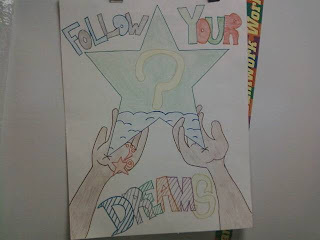 or "Follow your dreams!" Then, one day the posters fell to the back burner. It was time to study harder, read more, ace the test and get into a good college. Somewhere along the way we quit dreaming. A piece of us dies with every dream we give up on. The good news is we can revive it! So...wherever you are today dream a little. Think back to when you were 5 & wanted to be a ballerina or a fireman or an astronaut or a teacher or a rock star. Whatever it was dream about what it would be like to live it out. Remember that its never too late to follow your dreams. The best part about remembering your old dreams is that you may find a way for them to come true. Just that thought alone could be the motivation you need for big & amazing things to come into your life. Reach for the stars! You CAN achieve anything!